1964 Fender Telecaster Knobs, set of 2, Volume and Tone control knobs, chrome is worn on one of the knobs and complete on the other, set screws are attached. 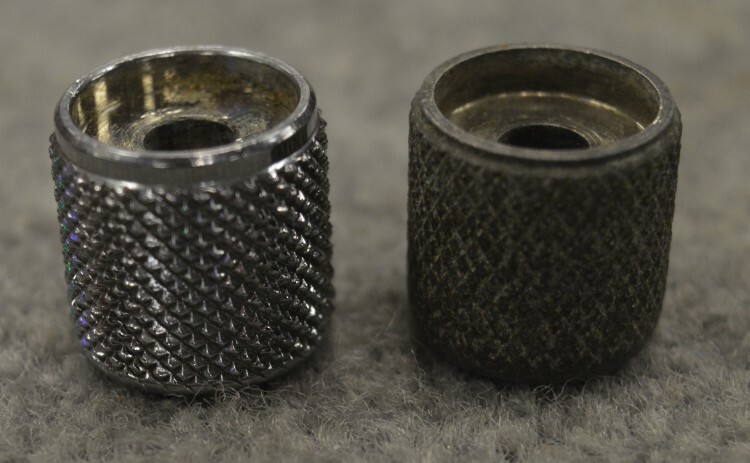 Interested In This 1964 Fender Telecaster Knobs? 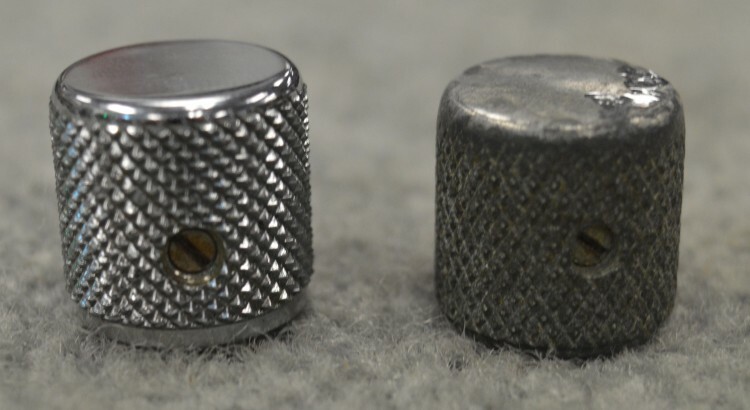 Did you purchase the 1964 Fender Telecaster Knobs? Feel free to submit a review. Reviews will be posted pending submission review and approval.